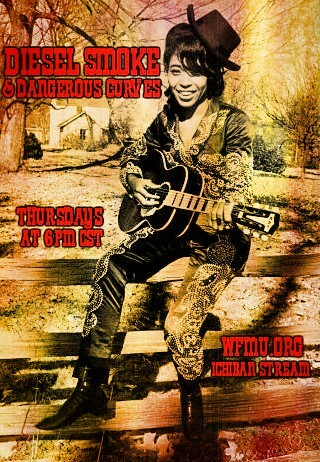 Rockabilly country soul tonight on Ichiban! 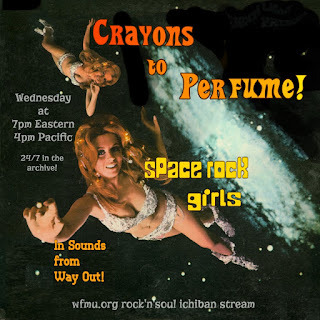 Doo Wop Dames on Crayons to Perfume! Space Rock Girls on Crayons to Perfume! 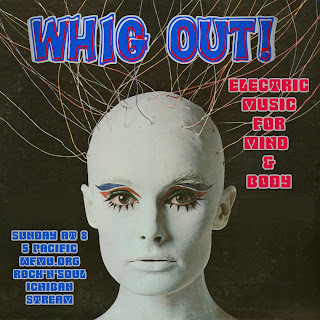 Whig Out! 8pm right after the Real Nitty Gritty! 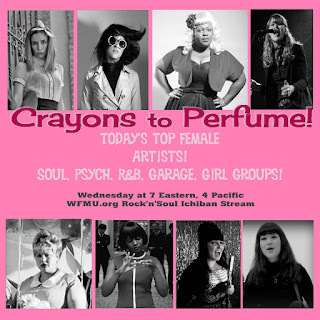 Todays Top Female Artists on Crayons to Perfume! 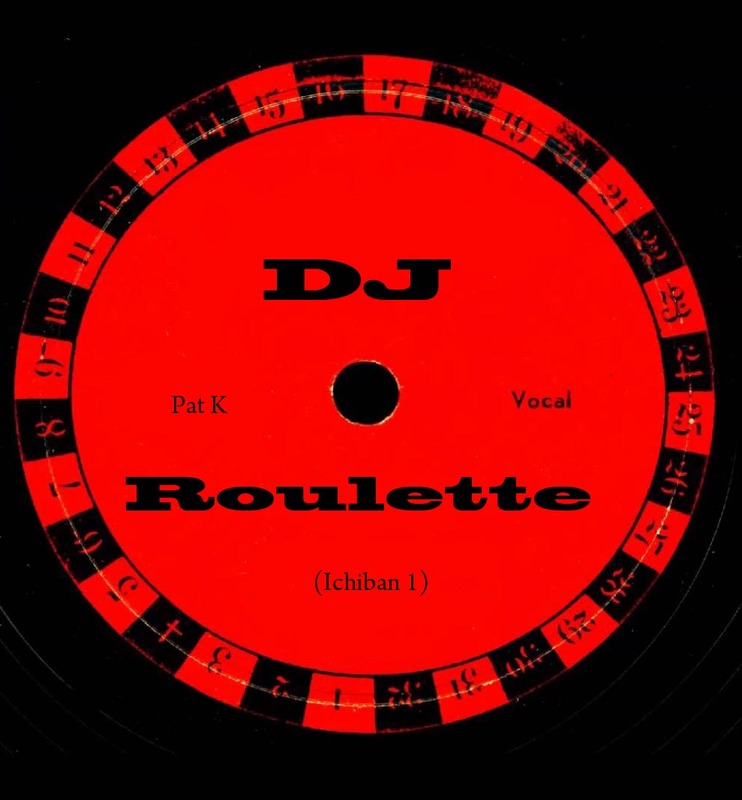 DJ Roulette With Pat K! 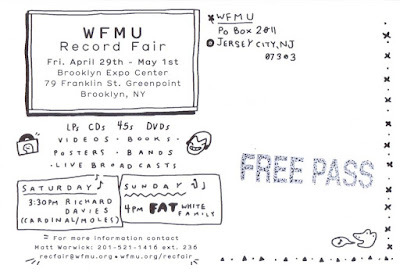 We are giving away a FREE PASS to the WFMU Record Fair!! Save on admission, spend more on rock 'n' soul 45s!! First person to email Debbie D gets it. Good for 1 free admission to the fair on SUNDAY MAY 1st only. See you there. Tonight on Diesel Smoke & Dangerous Curves! 6 pm Nashville time! 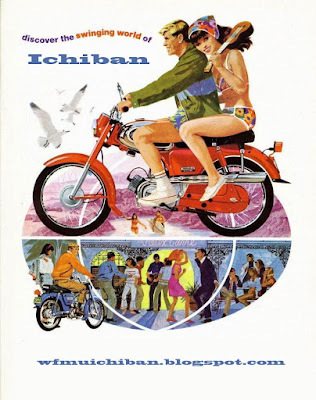 Only on Ichiban! The social event of the season is here!! 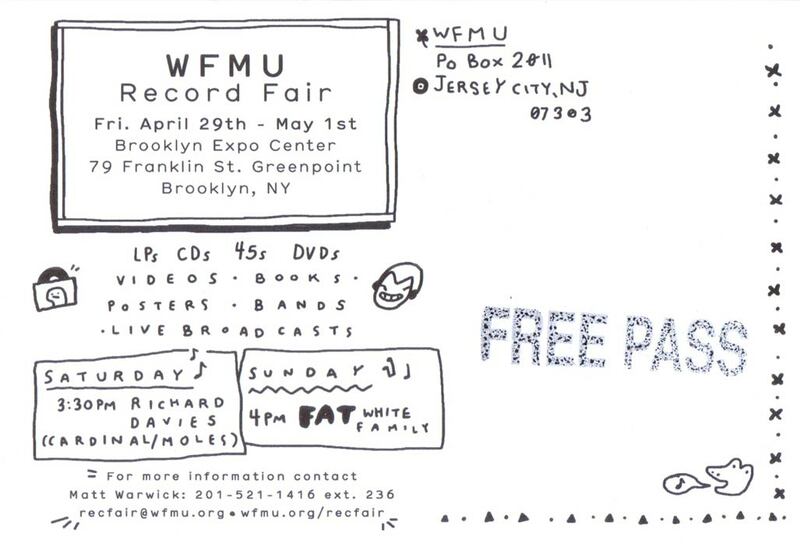 See you at the WFMU record fair. Crayons to Perfume! 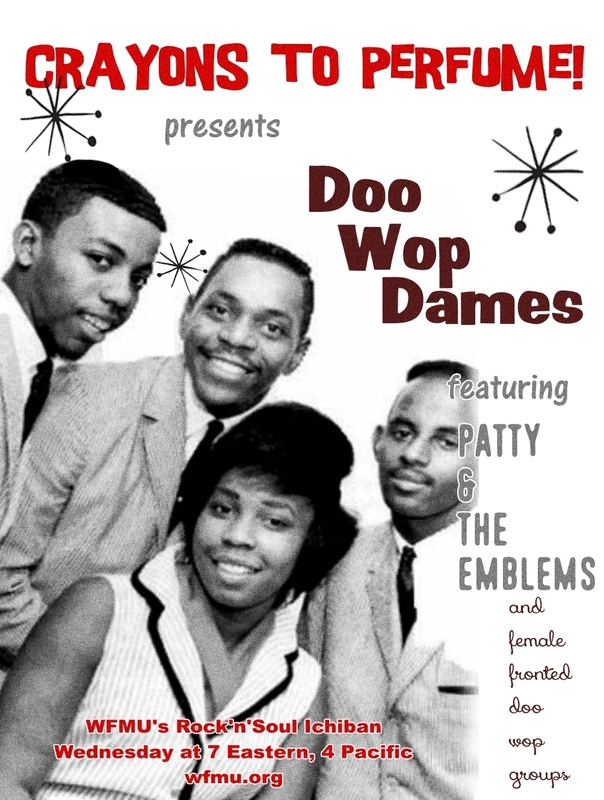 is reaching a little farther back than usual...back to the 50's and the women who pioneered rhythm & blues and rock'n'roll in Doo Wop groups, specifically in groups with male members (next time around we'll have all girl doo woppers!). Patty & The Emblems are our girl and group of the week, with Patty Russell - considered a one hit wonder for the fantastic soul number Mixed Up, Shook Up Girl. Patty left the music world after the Emblems, but the men in her band went on to have life long careers in music. We also feature Lillian Leach of the Mellows who paved the way for the ladies of the girl group era by being one of the first women to join an all male doo wop group. 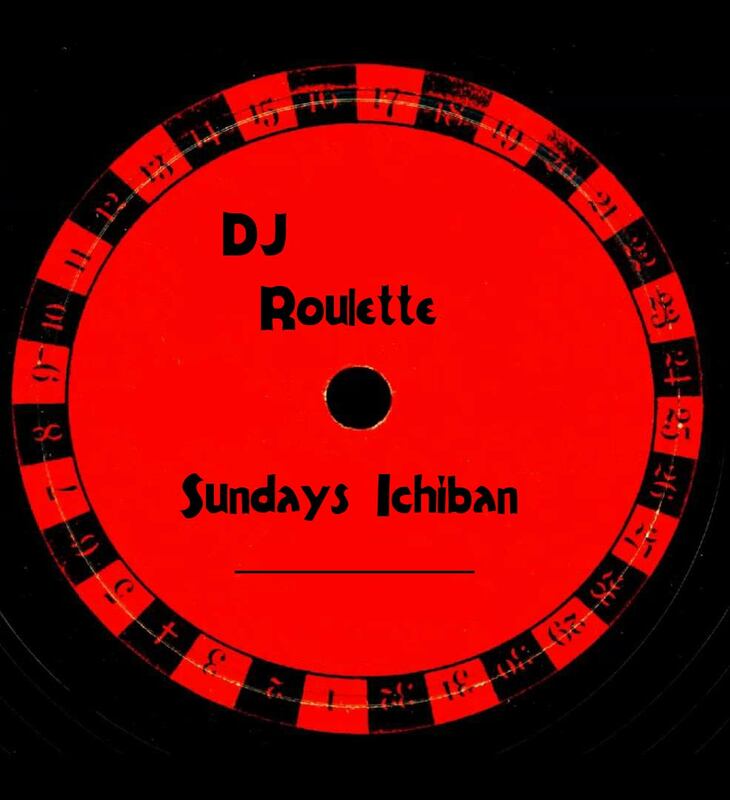 Tune in to DJ Roulette every Sunday at 11 AM, right after all of our live shows repeat. This week we welcome DJ Josh. Check out the playlist and leave him a comment! 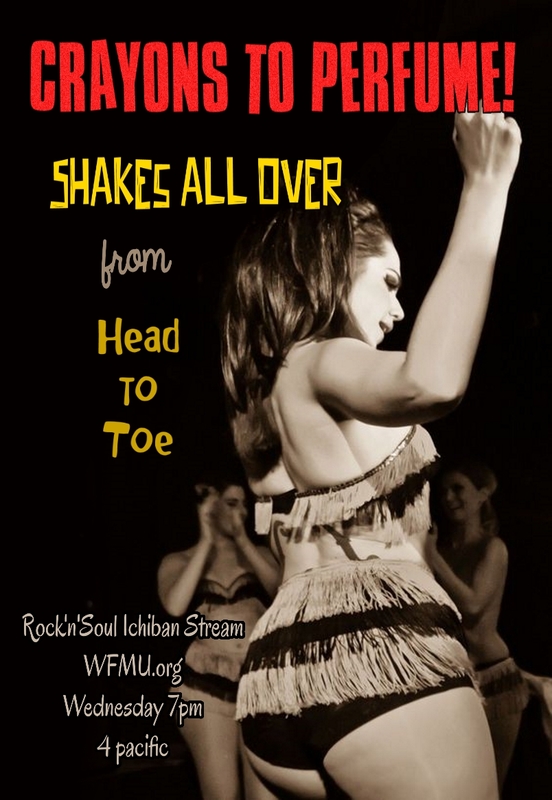 Tonight at 7 PM on the WFMU Rock 'n' Soul Ichiban webstream. The girls get spaced out on Crayons to Perfume! 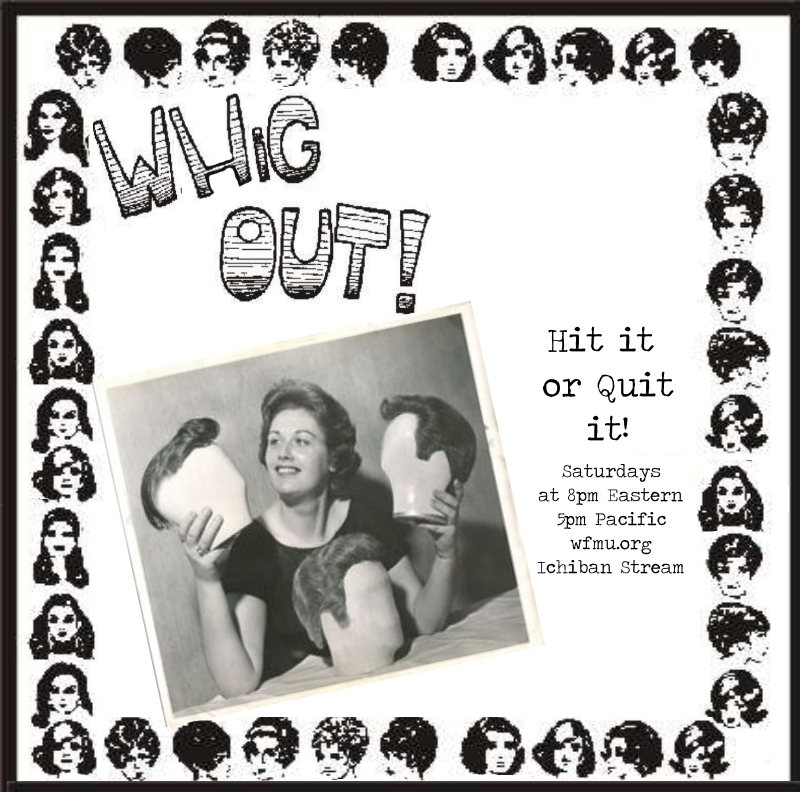 at 7pm (eastern, 4pm pacific) Wednesday - an hour of wacky weird and wonderful girls (and maybe some that just want to be girls!) - Listen here at 7! Here's tonight's warm up: Raquel Welch and her magnificent Space Girl dance! 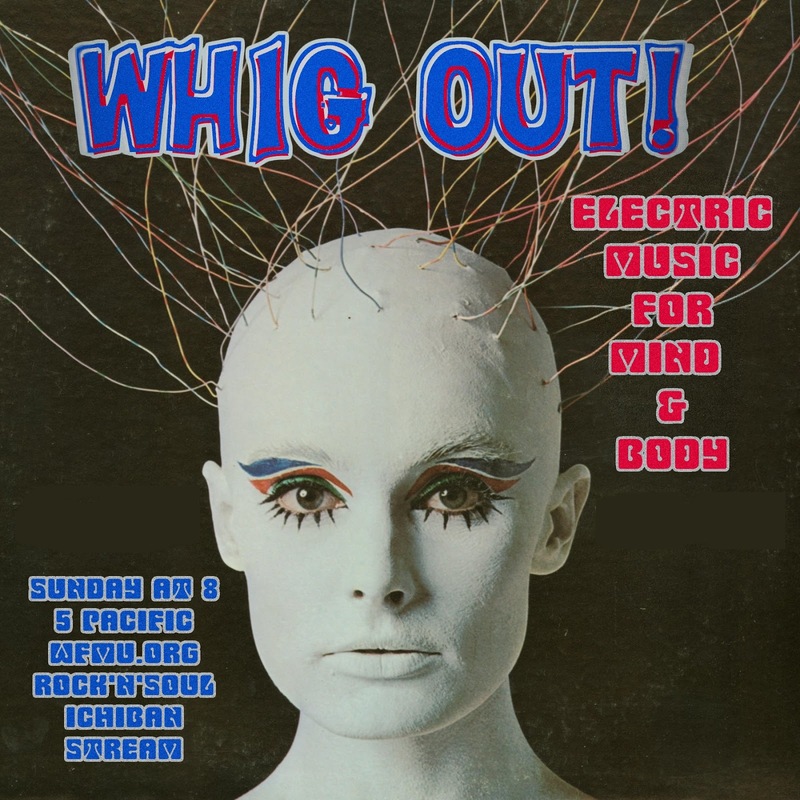 It's a WHIGGY 13th Floor Elevators inspired Whig Out! Tonight! Reverberations start at 8, right after the Real Nitty Gritty! 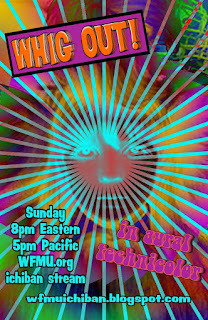 Set your dial to WFMU.org on Sundays and WHIG OUT! Don't miss this week's DJ Roulette with Laurent. 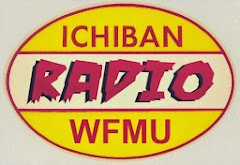 And stay tuned to Ichiban all day!! 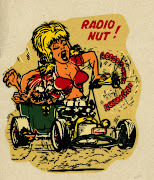 Laurent will also be filling in for The Real Nitty Gritty tonight at 7 PM followed by Whig Out! FEED YOUR HEAD with The Fringe Factory Radio Show at 8pm ET/5PM Pacific! 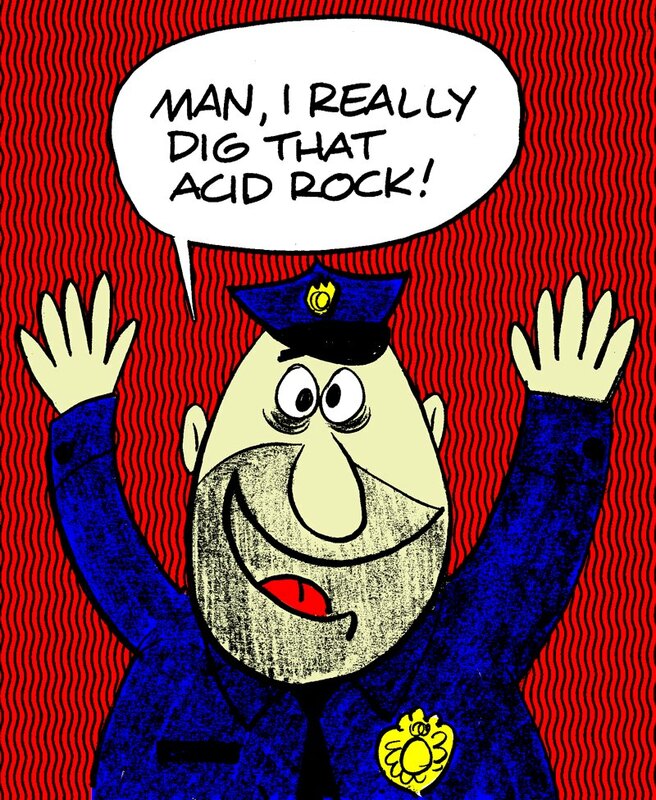 Tonight DJ Vikki V spins more international, heavy, psychedelic mindbenders, garage nuggets and new releases! With new music by Daddy Long Legs along with classic faves from The Music Machine, Soul Inc, The Flippers, The Protein Bros, The Pretty Things, Mile Ends & more! Tonite at 7 (4 Pacific)! 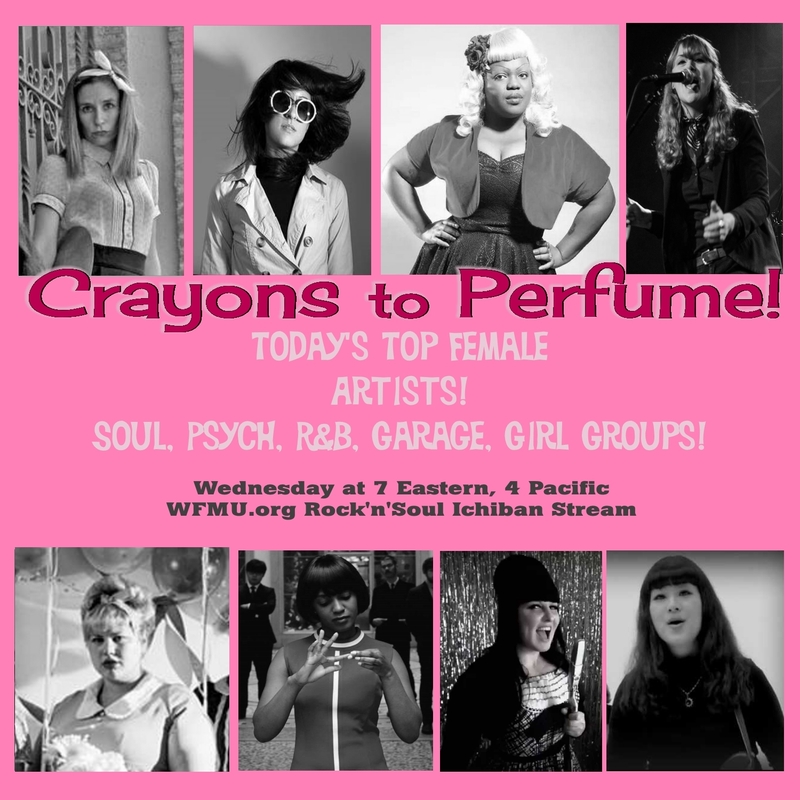 It's modern mavens of modness, girl groups, r&b, soul, garage .... on Crayons to Perfume! Click here at 7 to listen to Shannon & The Clams, The Smoggers, Pepper Pots, Gemma & The Travellers, Sister Cookie and so many more!! Loads of brand new and old garage this evening on the Whig Out! 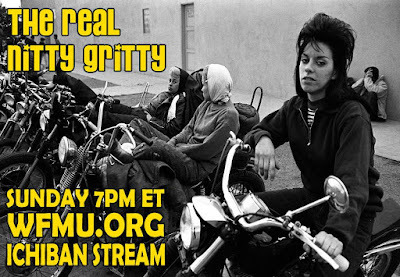 8pm Eastern, 4pm Pacific Right after the Real Nitty Gritty. Start your listening at 7! 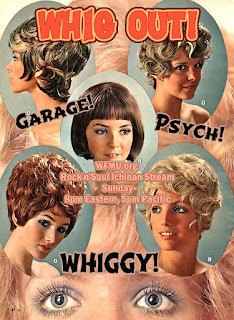 7pm WFMU.org Rock 'n' Soul ICHIBAN! 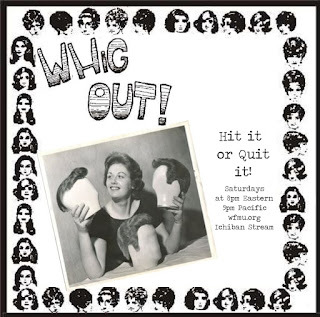 followed by THE WHIG OUT at 8! 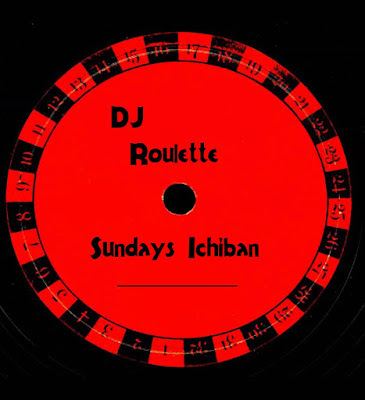 Join us every Sunday morning at 11 AM on WFMU's Rock 'n' Soul Ichiban webstream for DJ Roulette. Each week, we will feature a different Boss Jock from around the globe. This week, Mr. Lucky, Pat K from Buffalo New York spins some of his favorite surf, soul & hipshaker 45s. 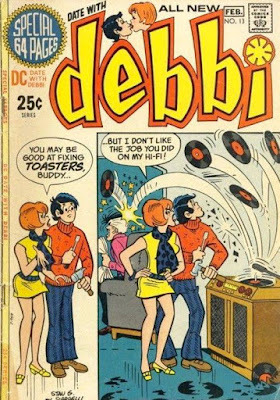 If you'd like to be a guest on DJ Roulette, send your hour long mp3 show + playlist to Debbie@wfmu.org. 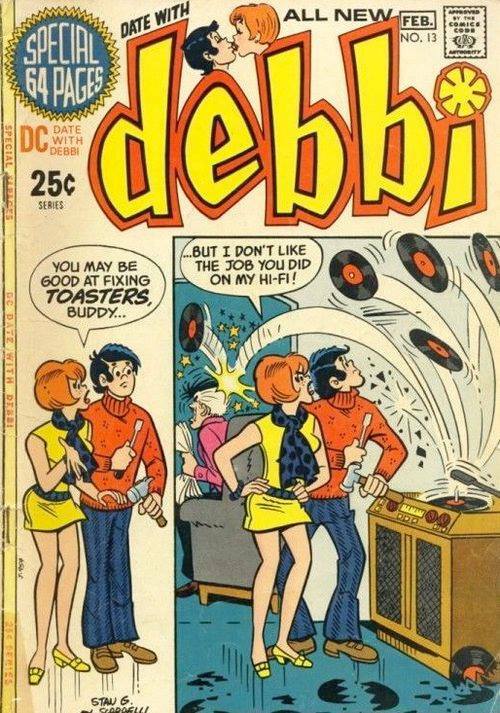 Obscure hits from the 50s - 60s only, please. 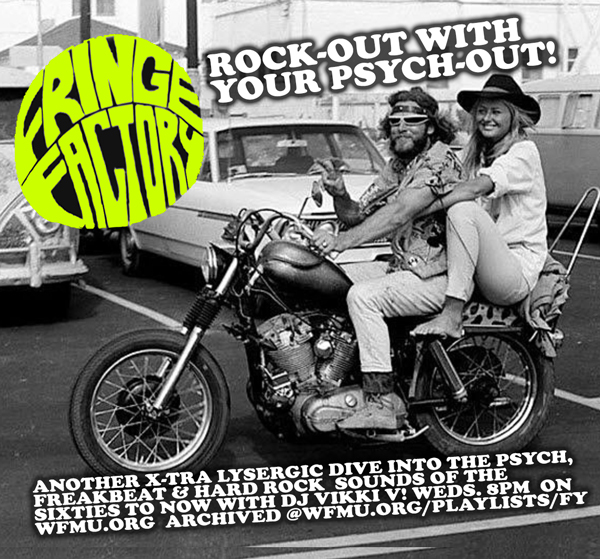 Brand new psych and garage from Karovas Milkshake, Missing Souls, Van Buren Wheels, The Hurricanes plus lots of garage 'n psych from the 60's! Just click here and like magic, you'll be there at 8pm Eastern or 5pm Pacific on Sunday! Send us your hour long DJ set and we may play it on the Ichiban stream! You could be an Ichiban DJ!! Rock 'n' Soul hits only, please. 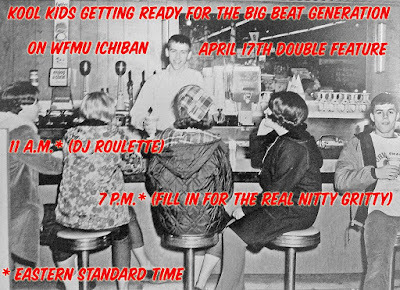 Contact wfmuichiban@gmail.com for more infos.